Sweet Sentiment: Three in one. Ok, so sometimes I combine challenges, use one card to satisfy the requirements of two challenges in one... Today, is a triple threat! Ha ha ha! 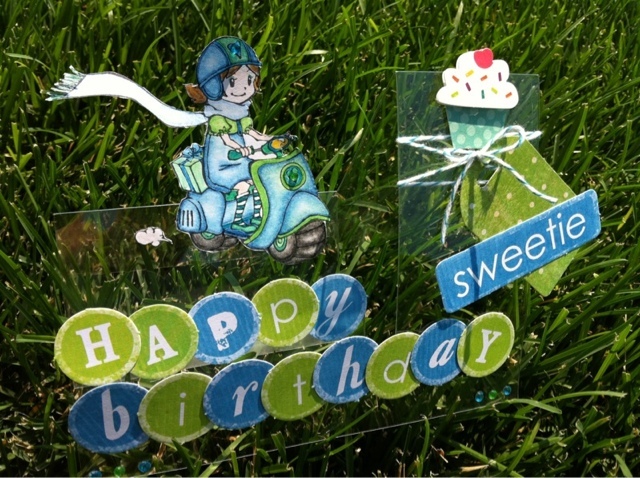 Two are from Marks Finest Papers, use only blue and green, and the step fold card, the other is from Sparkle Creations; use one of the stamps they released in their first year. Check, check, and check. I'm good to go! Now it's off to the movies with my DH, we are going to see Ted! Woot woot! 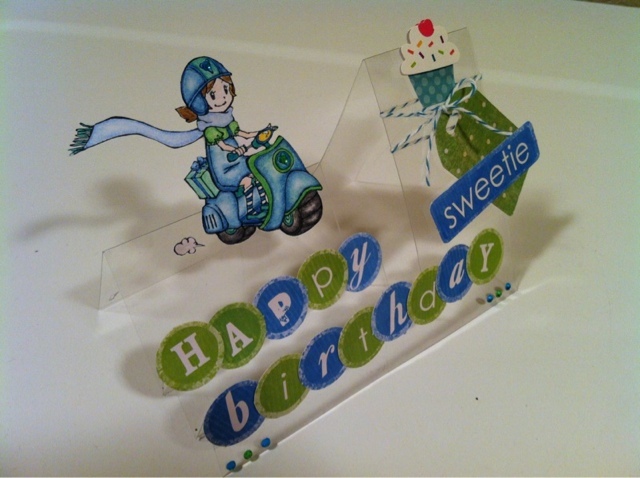 What a cool acetate birthday card! Just wonderful! 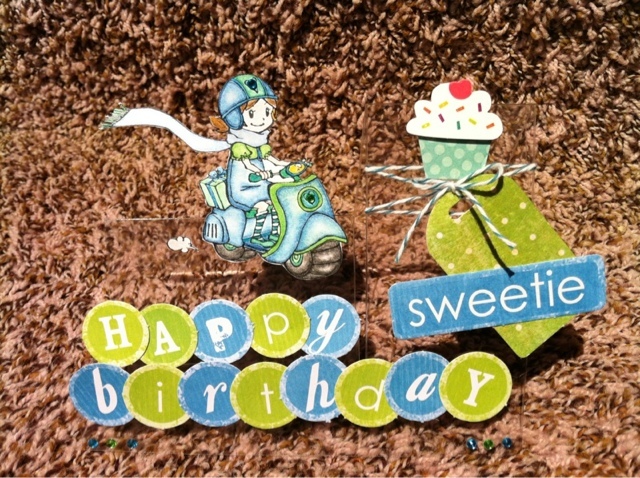 Thanks for playing along with us this week at Speedy Fox & Friends blog challenge. WOWZERS, love your clear side step card! Thanks so much for joining us for Tutorial Time at SpeedyTV this week! Very very nice card! I love that it is clear!!! Thanks for joining this week at Tutorial Time. Love your clear card!!! What a fabulous idea!!! Hope you enjoyed the movie!!! Thanks for playing along with us this week at Speedy Fox & Friends! 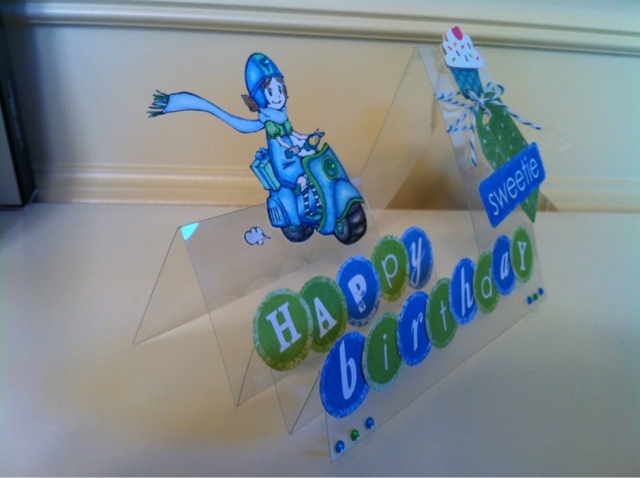 This is so creative -- using the acetate was a stroke of genius! Thanks for playing along with us this week. This is so cute! Love the clear. Thanks for playing along with us this week at Tutorial Time on SpeedyTV. Interesting way to do the card. Very creative. Good luck.